Discounted volumes by artists including Edward Burtynsky, Bruce Davidson, William Gedney, Frank Gohlke, Dave Heath, William Klein, Saul Leiter, Vivian Maier, Mary Ellen Mark, Joel Meyerowitz, Gordon Parks, Raghubir Singh, and more. Books by 2017 Lucie Awards honoree Steve Schapiro including the award-winning James Baldwin: The Fire Next Time. Signed publications, including books by Bill Burke (I Want to Take Picture, 2007), Edward Burtynsky (Quarries, Steidl, 2009; Water, Steidl, 2013), Kenro Izu (Seduction, Damiani, 2017), Jungjin Lee (Opening, Nazraeli Press 2017; Desert, Radius Books, 2017), and many others. Limited-edition gallery tote with image by Leon Levinstein are free with purchase of $50 or more. Complimentary cider and doughnuts will be served all day. 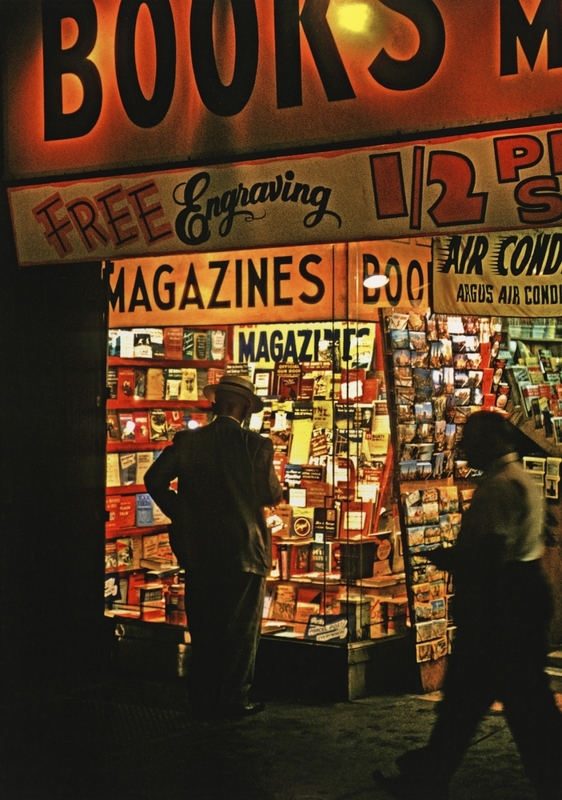 Marvin E. Newman will sign copies of his latest Taschen publication. With 170 color images, Marvin E. Newman, 2017, presents the first major career retrospective of work from the late 1940s through the early 1980s, revealing Newman’s flawless technique and humanist sensibility in vivid New York cityscapes, energetic sports shots, and tableaux from across the U.S.
Steve Schapiro will sign several of his publications, including his latest Taschen publication and winner of the 2017 Lucie Award, The Fire Next Time. This letterpress edition of James Baldwin’s book of the same name, is illustrated with photographs by Schapiro. Together, Baldwin’s frank account of the black experience and Schapiro’s vital images offer poetic and potent testimony to one of the most important struggles of American society. Victoria Will will sign copies of Borne Back, 2017, her debut book from Peanut Press Books, which features tintype photography of actors and directors at the Sundance Film Festival. Will began her career at the New York Post, and her photographs have appeared in newspapers and magazines worldwide. Grayson Dantzic will sign copies of Jerry Dantzic: Billie Holiday at Sugar Hill, 2017, a vivid chronicle by his father during a week in the life of the jazz icon in 1957, from Thames & Hudson. Assigned by Decca Records, photojournalist Jerry Dantzic (1925-2006) captured Holiday both performing and offstage during an engagement at the Sugar Hill club in Newark, NJ. On view through December 9th are three exhibitions exploring India: Raghubir Singh, Bombay; Kenro Izu, Eternal Light; and William Gedney, In India.